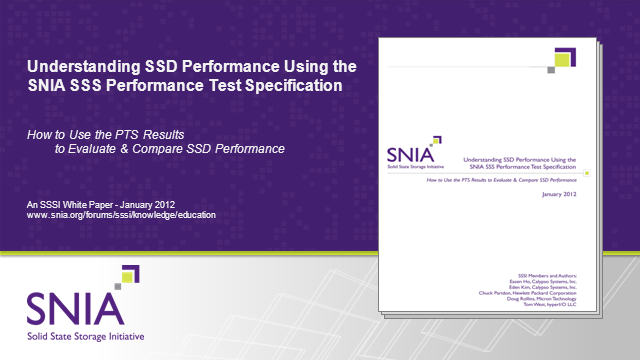 Analysis of SSD Performance Issues and Understanding and Comparing SSD Performance using the SNIA Solid State Storage Performance Test Specification. A survey of general SSD performance behaviors and their influences, using PTS Reports to evaluate SSD performance, and use of PTS Reports to compare (2) MLC Client and (2) SLC Enterprise SSDs. Actual test data taken on the PTS Calypso Reference Test Platform will be used to present comparisons.